Are AAnytime awards not available partner flights? I'm looking at flights LAX-IST and I get less than desirable flight schedules at the saver award level. I can see other schedules on the award page that are greyed out, so I can't even select them. I have even tried to specify in the initial search that I want to use an AAnytime award, bot only the saver option shows up. So are these awards available on partners or am I missing something? AAnytime awards are only available on AA/US metal; neither of those carriers serves IST. Looking to fly from asia 2 to europe via AUH, I'm under the impression it will price as 2 awards, so for business 60k points instead of the 52.5 it would be say on qatar (special rule). Will the taxes be different (more) since its 2 awards? would I have to pay two $75 last minute award fees? I have sapphire OW status but not from aa/us, last time I booked last minute they did not waive the $75. Has anybody been able to successfully book a flight using AA miles with a greater than 24 hour layover on non-AA metal? I'm trying to put together a trip and in the middle I'm trying to get a day and a half trip to DEL from AUH to see the Taj. The Taj being closed on Friday is messing everything up. I'd like to book an award from DEL-AUH-SYD on Etihad...but i'd like to leave Friday morning, stay in AUH until saturday evening, then get the A380 onward to SYD. Any suggestions or am I out of luck as it is pretty much impossible? Thanks for the advice. You cannot. You'd have to pay for 2 awards DEL-AUH and AUH-SYD. I am trying to go from LAX-MAD. It is 50k one way in business class from north america to europe and the caribbean is included in north america. I called aa and they said LAX-MEX-MAD is a valid routing however when I cut through the caribbean it is not. MIA-SDQ-MAD counts as 2 awards and I don't understand why. Also I'd be taking Iberia for the ocean crossing. I currently have MAD-MEX reserved and I've called on two separate occasions trying to add MEX-LAX to the itinerary and both times have been told that it prices out as two different awards. The second unhelpful agent even read through the fare rules and determined it was because "MEX was out of the way" even though MAD-MEX-LAX (7195nm) falls within the maximum permitted mileage of 7306 nm. I can easily see that pricing as two awards. looks like I'll try my luck with CX or singapore instead of etihad. Strange the rule is for qatar only and not etihad. Anyone actually pay $75x2 in practice? The previous phone booking fee was just per call and not per individual "booking." OK, I give up. I have perused a couple of help threads and FAQ threads and the newbie thread but I can't find my answer. The phone call to AA did not pan out sine I was hung up on while on hold. The Twitter team ignored me. I have a ticketed award flight on AB from OTP-TXL-ORD with AA miles in January of 2016. When or how can I choose seats? I'm sure this is something simple, but I just can't find it. Also, it does not show up in "My Trips" on AA.com even though it can be found and shows as ticketed and has been for over a week now. Any insight on that? Regarding seats: best bet is to do it however AB does. Call AA, get your AB confirmation number, and either go to the AB website or call in. As for not showing up in My Trips--I wouldn't worry about it. I have an award trip coming up with no segments on AA, and it hasn't shown up at all. Followed that advice, as well as kept looking, and discovered it will not show up in "My Trips" because it has no AA flight, it is all AB. 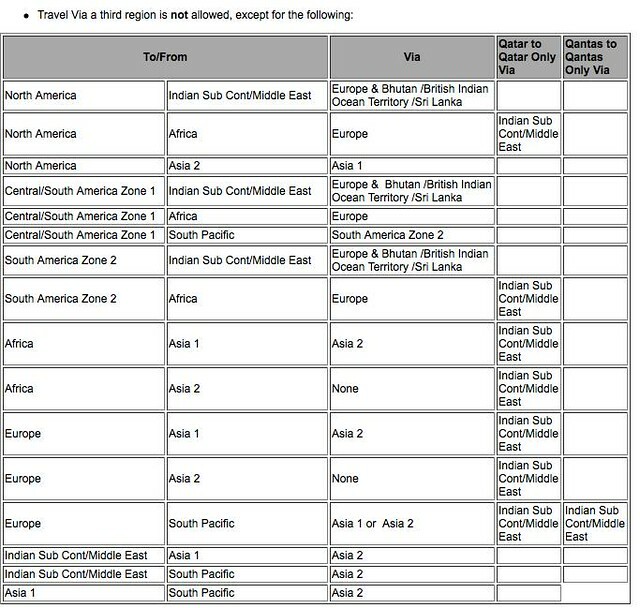 Logged onto AB to book seats and saw they cost money, so more research in the AB forum shows picking seats on Qatarairlines.com will give you free seat choice on AB. So I've done that and will see if it sticks. Thanks. I'm looking for some help in planning an award trip to Japan using AA miles. I live in Rio de Janeiro and I'd like to take my wife to Japan but the thing is that we would like to fly on a A380 on our way there, FIRST CLASS! Do you know any route I could make this work? I thought about GIG-JFK-LAX-SYD-NRT but I'm not sure that's doable or how many miles that would cost me. Problem: The phone agent, who says she checked (rate desk?) said because the connection at LAX is domestic, it cannot be over 4 hours.